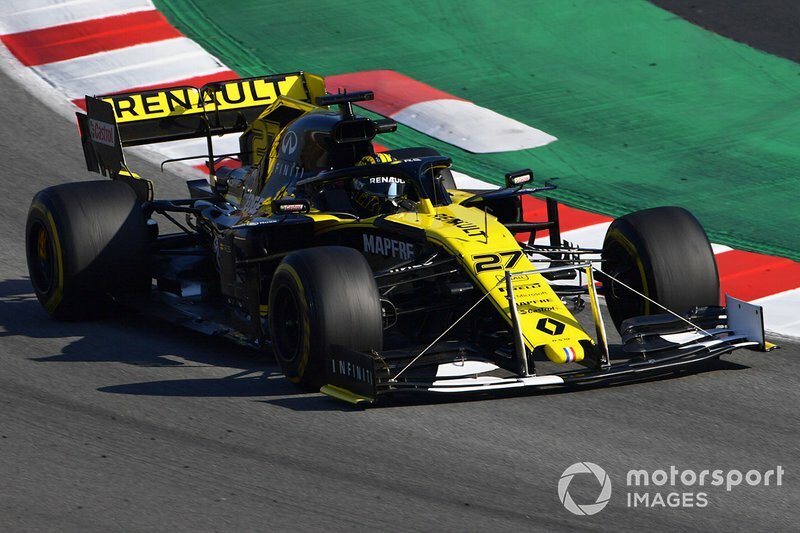 Renault installed a rig on the front wing in order to assess the level of stress and deflection that the wing is undergoing. 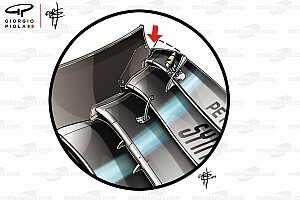 Meanwhile, hi-speed cameras look across at stickers placed on the endplate to further correlate the data. 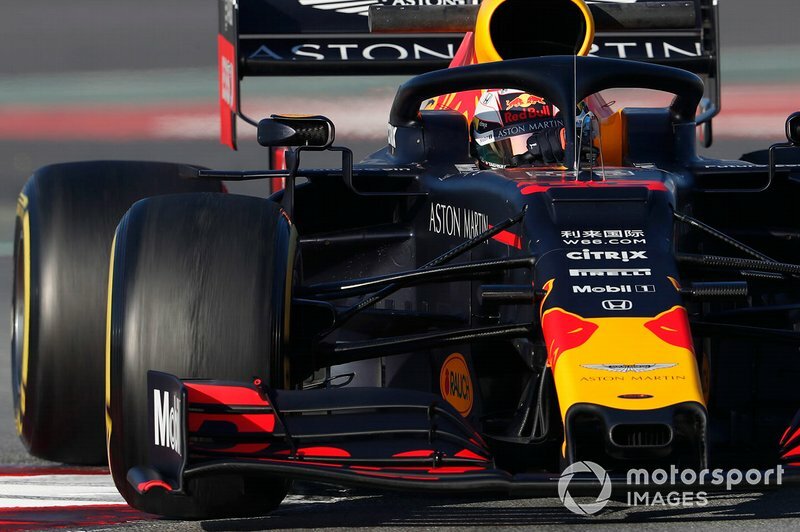 A great low-down angle of the complex area ahead of the sidepods, with the myriad of surfaces including the bargeboards, deflectors and chassis fins. 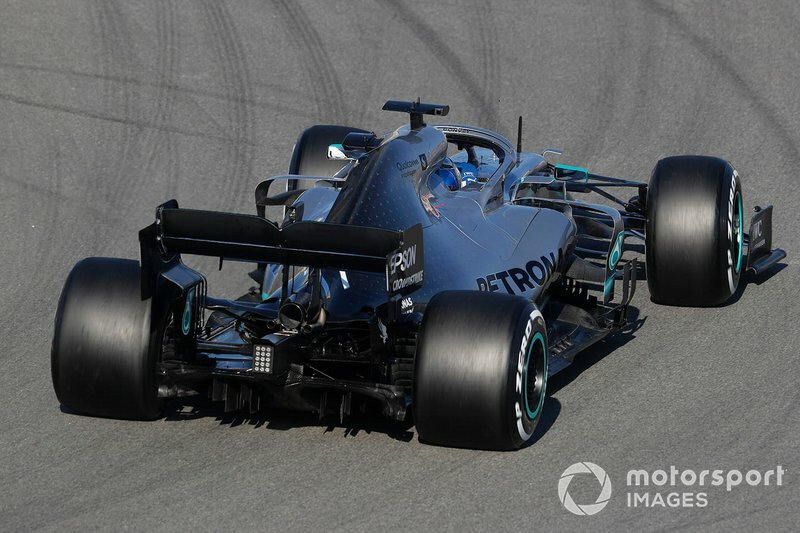 A great shot of the Mercedes W10, showing off many of the updates trialled by the team at the second test, including (but not limited to) the vanity panel horns, new chassis fins, revised bargeboards, the halo winglets, pared-in sidepods and vertical flaps on the edge of the floor. 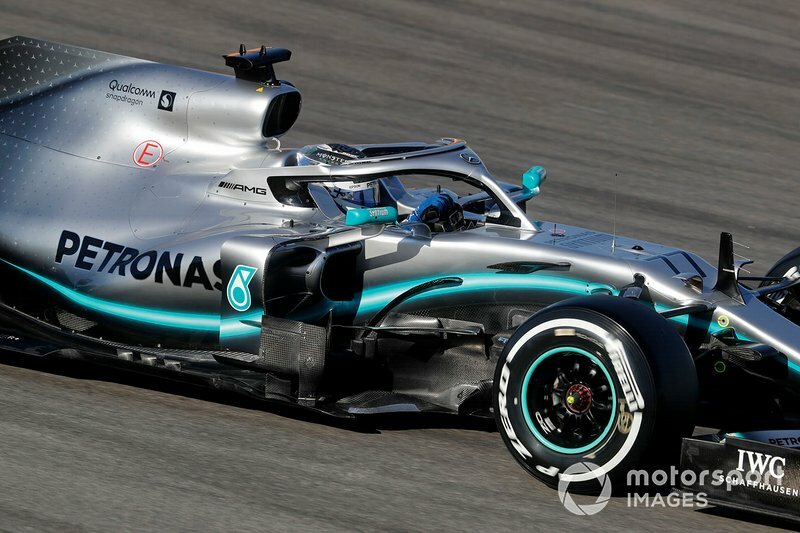 The W10 from behind, gives us a great view of the diffuser and packaging at the rear of the sidepods. 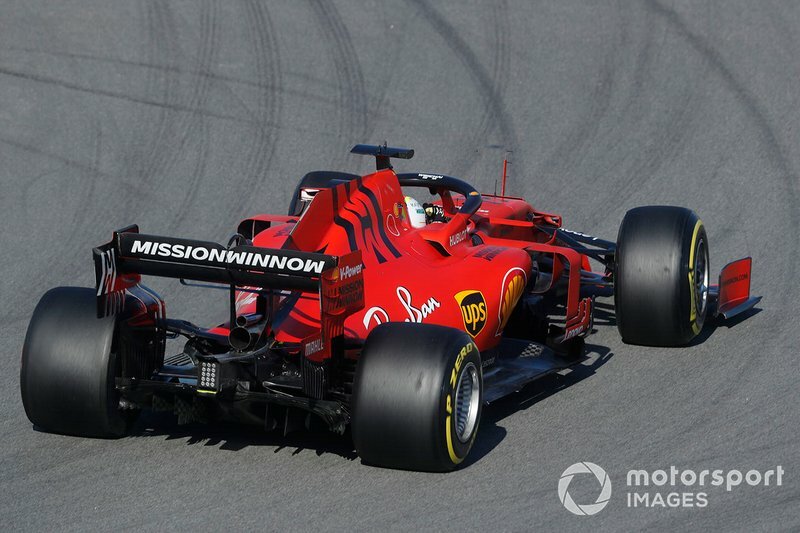 As a comparison to the Mercedes, here’s a similar image captured of the Ferrari SF90, also note how the Scuderia are once again testing the finned rear wheel design first seen at Mercedes too. 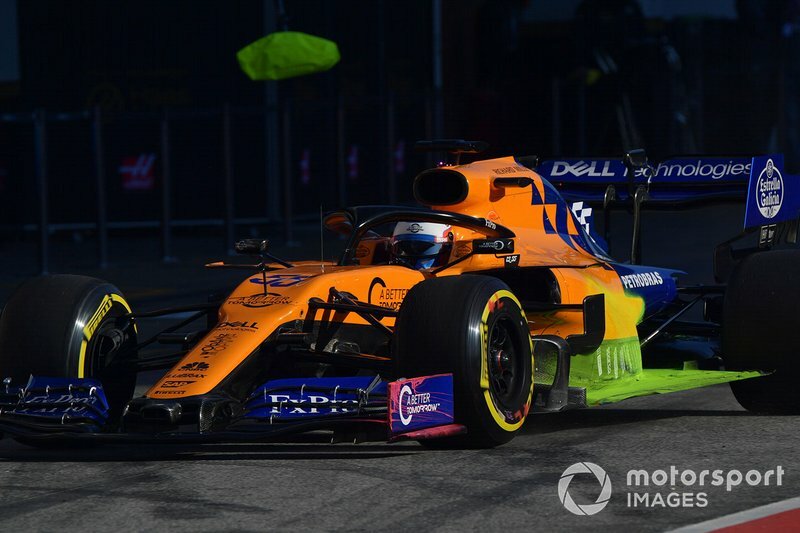 Flo-viz paint on both the front wing, sidepods and floor is used by McLaren in order to evaluate the airflow structures present and will be photographed and studied back at the factory. 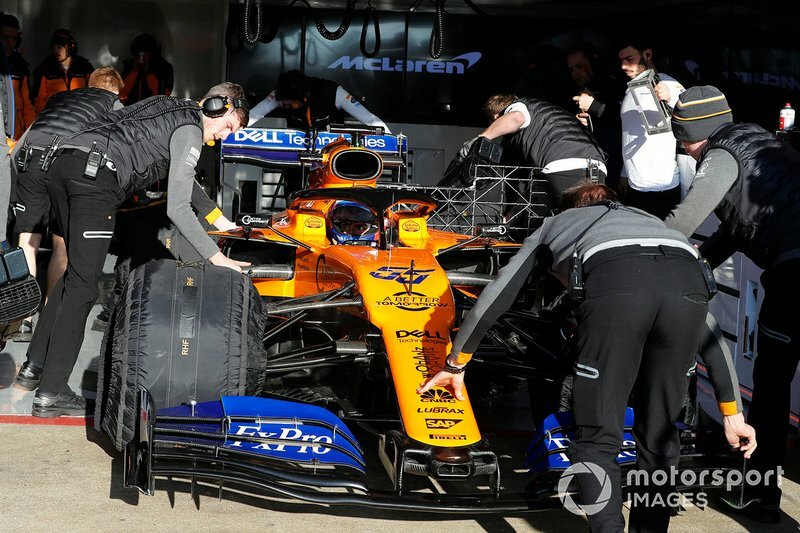 A large kiel probe array was also mounted on the side of the MCL34 in order to gather data about the airflow passing along the cars flanks. 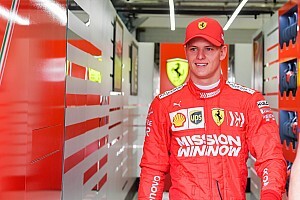 Kiel probe arrays mounted behind the front wheels on the Ferrari SF90 measure how the airflow is displaced by the front wheel wake. 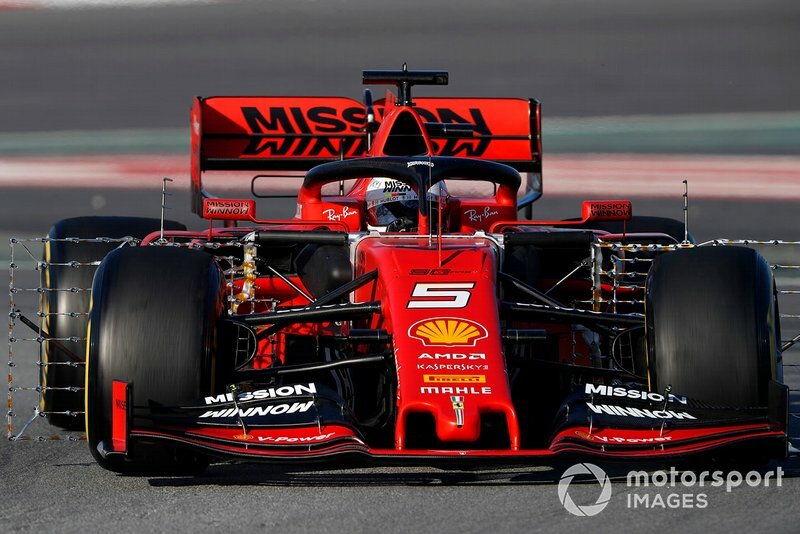 Also note the central stanchions which place three kiel probes in a much higher position, in order to understand how the turbulence created by the front wheel will impact the sidepod’s shoulder. 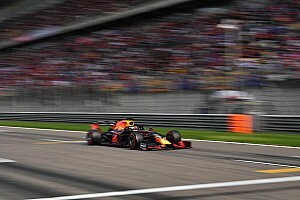 This shot of the Red Bull RB15 shows how the furniture that surrounds the mirror casing is gapped from it, allowing a smoother transition of the airflow around the casing. 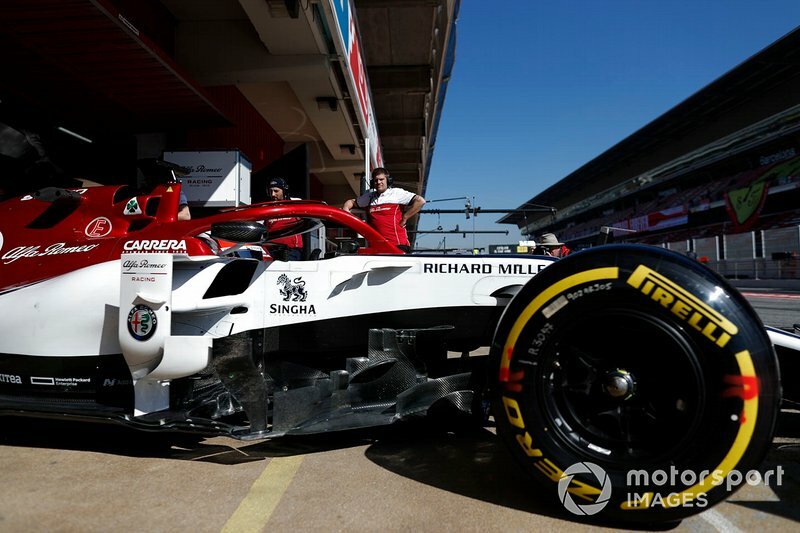 These new and novel winglets on the bridge of the Alfa Romeo C38’s nose and chassis transition help to gather in the airflow in that region and redefine its direction. 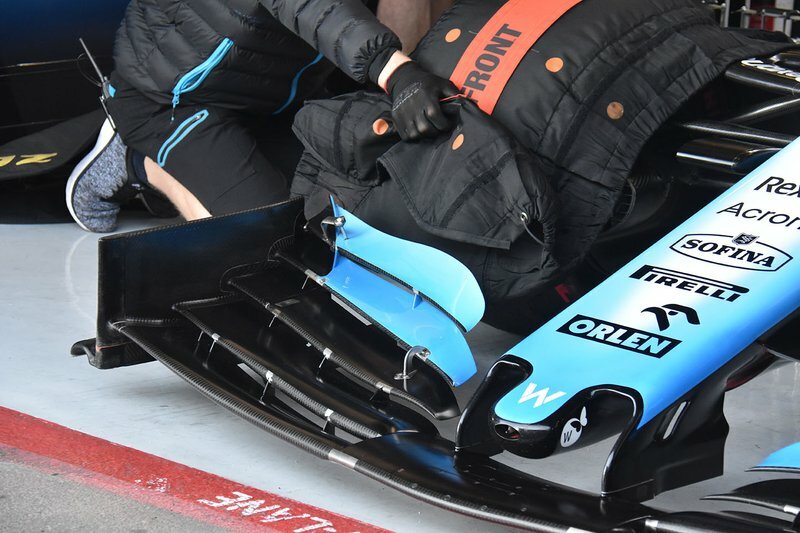 A close up of the Williams front wing solution, with the notch cut out in the rear section of the endplate and aggressively angled flap adjuster. 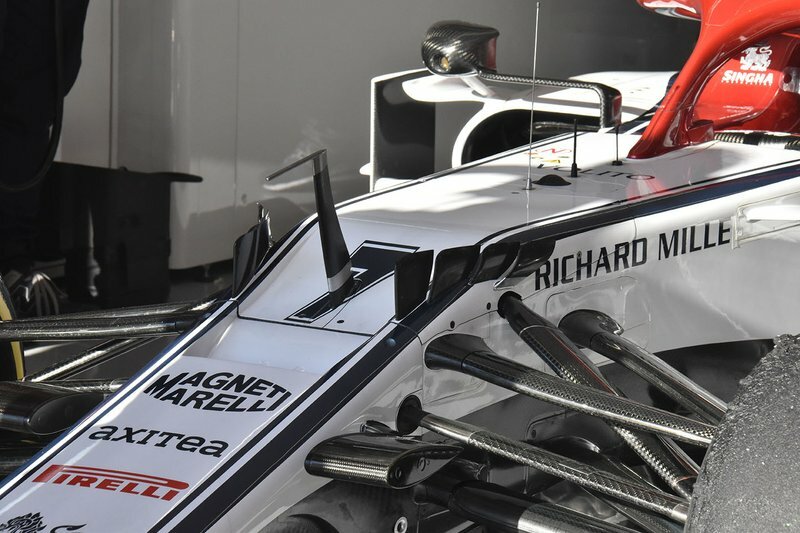 Also note the presence of the slot in the front wing pillars, a design trait carried over from last year but still noteworthy. 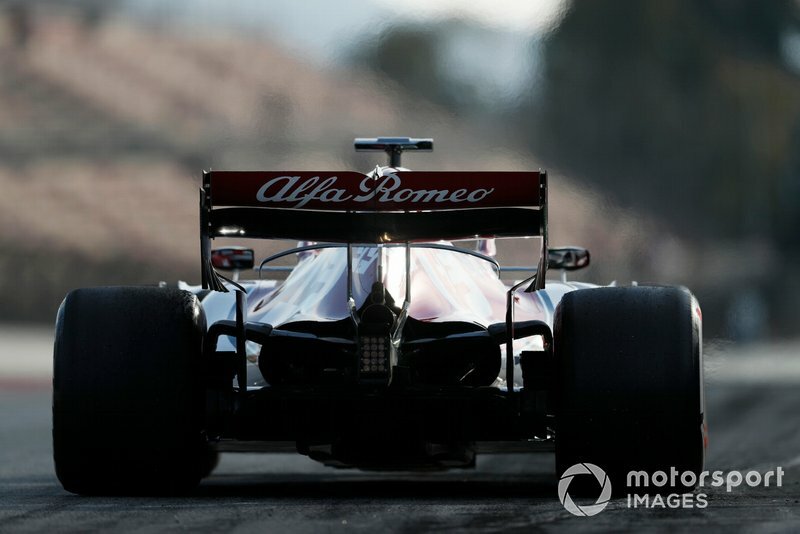 A nice shot of the Alfa Romeo C38 from behind shows off the curvature of their T-wing, which will not only produce downforce in its own right but also help to improve the performance of components downstream. 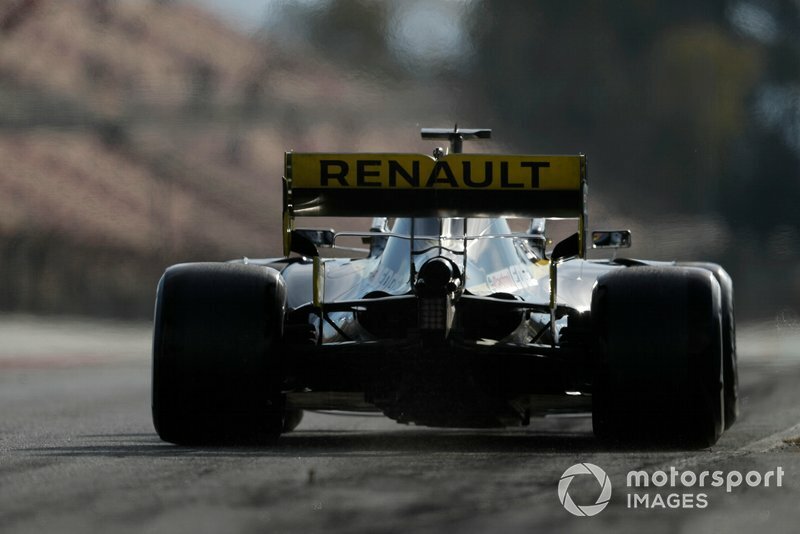 A nice view of Renault’s RS19 from behind shows off their rear wing, which not only features a large mainplane and top flap but also a clever treatment of the transition zone, creating not only the outboard strakes but also some upwashing winglets.